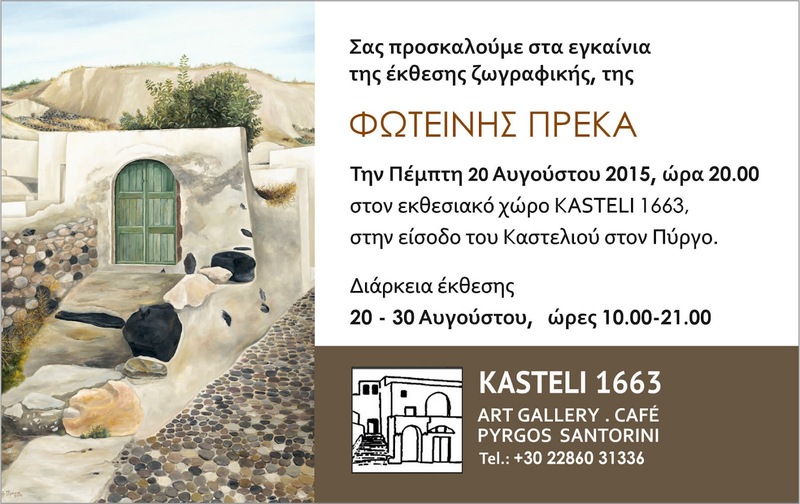 Tonight at 20.00 you are invited to the opening of the 4th personal Painting Exhibition of Foteini Preka, at Kastelli 1663, at the entrance of the Kastelli of Pyrgos village. Foteini Preka was born and raised at Emporeio village, and through her artworks she travels us to the lands of her childhood. With a special technique and her way of using colours and form, she tries to capture and show to all of us Santorini of her heart.